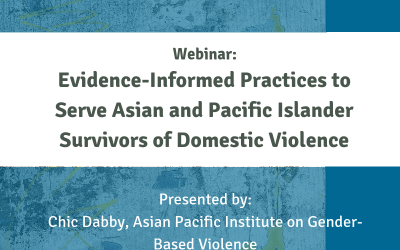 The Asian Pacific Institute on Gender-Based Violence, in partnership with the University of Michigan and with funding from the National Institute of Justice, produced a new study on violence and help-seeking over the lifecourse. Like our Lifetime Spiral of Gender Violence, this study emphasizes the centrality of women’s experiences of abuses and vulnerabilities over their lifetime. The methodology and the results of the study reflect this analysis and has yielded rich data. 51.7% of Filipina and 55.4% of Indian/Pakistani women had called the police at least once. Discussion: Contact with the police in the immediate aftermath of an Intimate Partner Violence (IPV) incident served as a gateway to other services such as legal assistance and/or domestic violence programs. Recommendations: Train police officers on an integrated response model; co-locate advocacy and support services within police departments; and enhance coordinated community responses with collaboration between law enforcement and advocates providing socio-culturally and linguistically tailored programs. 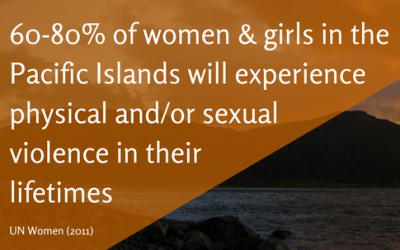 67.8% of Filipina and 50% of Indian/Pakistani women experienced stalking. Women who experienced stalking in any given year were more likely to call the police, seek legal assistance, or utilize a domestic violence program. Discussion: Of all types of IPV, stalking was most significantly associated with help-seeking. Recommendation: All providers should assess for stalking at all IPV incidents and at all points of contact with victims by including questions about stalking when taking reports, and giving it as much weight as sexual or physical violence. An estimated 30% of 2nd generation Filipina women experienced physical violence and an estimated 18% of 2nd generation Indian/Pakistani women experienced sexual violence at 16 years old. Discussion: High levels of IPV were already experienced by survivors at age 16. Recommendations: Design policies, practices, and resources about IPV in Asian teenagers and young adult relationship that take socio-cultural prohibitions against dating into account. Criminal justice system agencies and domestic violence programs serving Asian young adults should assess how parents might respond to victims, identify procedures to preserve confidentiality and safety for teen victims, and find culturally relevant ways to work with parents to ensure they are supportive of teen survivors of IPV.